Top50 Ranches was created in 2010 to help take some of the guesswork out of finding a ranch vacation so you, the guest, can have peace of mind. We know you, because we are you - we too have been that guest seeking the right ranch experience. We know ranch vacations, even when you’re not sure yourself! Created in 2010, Top50 was inspired by rancher Jody Dahl’s wish to establish the ultimate compilation of some of the most special ranch vacations in the world. Feedback from guests and research on hundreds of ranches led Jody to create Top50Ranches.com, THE online guide for travelers worldwide, featuring a select collection of ranches that are founded on hospitality and goodness, all embracing true rural culture – her dream was to make it easier for guests to find the right dude ranch vacation. Top50 Ranches is passionate about showcasing authentic and breathtaking ranch vacations, offering a platform for 50 special ranches to stand out, thus making it easier for the traveler to choose the perfect ranch for their stay. All ranches are different and unique, and range from five-star ultra-luxury ranches, to rustic working ranches. In 2016, Jody decided to return full-time to her family and her family’s working cattle ranch. Today Top50Ranches is under the direction of Gene Kilgore, the world’s leading authority on guest ranches. Under his leadership, passion and vision, Top50 Ranches is more robust than ever, and continues to bring magnificent ranch vacations to the world today and beyond. 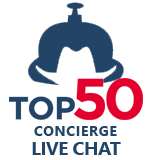 With Top50, you'll know what you get before you book and we will help you with the process - when you arrive at your ranch, you can focus on relaxing and enjoying your vacation. Top50 chooses ranches that strive for excellence in hospitality. A Top50 ranch is not a ranch that just seeks guest arrivals, it is a ranch that wants their guests’ experiences and expectations to fit with their unique ranch offering. If a Top50 ranch is not for you, we’ll tell you and you’ll have peace of mind in knowing that your chosen ranch will give you the very best stay available. Each person’s idea of the ideal ranch experience differs and Top50 has reached out to find a wide selection of ranches offering a variety of experiences. Each Top50 ranch offers distinctive opportunities, from luxury ranches to authentic working cattle or even sheep ranches. We give each featured ranch several sections of detailed information about their programs, locations, travel details and much more, along with a link to the ranch’s own website. Top50 guests are better informed and we believe that results in a better ranch vacation experience. If you wish you may always speak directly with us, too - our Concierge Service is always a personal experience; we will give you the complete picture on the ranch you are interested in.